As a financial planner, I often find out that there are certain questions people have, but they might be reluctant to come out and ask. I want to cover what might be one of the foremost questions about using a fee-based retirement planner. That question would be, what is the actual cost of a financial plan and what are the benefits of using a fee-based financial planner. To explain this, I would first like to talk about the difference between a financial planner and someone who just works in the investment field or insurance services. If you're working with a broker, they'll discuss your investments with you, probably helping you find some investments that are appropriate, or suitable, for your time horizon and your risk tolerance. As a financial planner, I look at so much more than just your investment allocation. It is bringing all of the pieces together. I do, of course, look at investment and make recommendations, but I incorporate that into an overall financial plan. We look at performance from a risk and fee perspective, review all cash flows from an income, expense and taxes standpoint, account for inflation, return, and premature death… and then stress-test that plan. We are then able to bring all of this together in a comprehensive plan. Financial planners are testing all the possibilities, whether it's premature death of a spouse, which leads to a reduction in pension and social security income, tax changes (maybe due to a relocation) and market fluctuations. We striving to ensure that your insurance needs are met, that your investments are allocated appropriately, and then focus on developing an income or distribution plan for you. That’s important because as you move into retirement, you're moving out of your accumulation phase into your distribution and an income phase. By putting all of this information together into a comprehensive and cohesive plan, my goal is to help give my clients peace of mind as they enter into their retirement years. When we talk about the investing in a comprehensive financial plan for your future, the fees will vary between different planners, depending upon the scope of the work that they're completing. 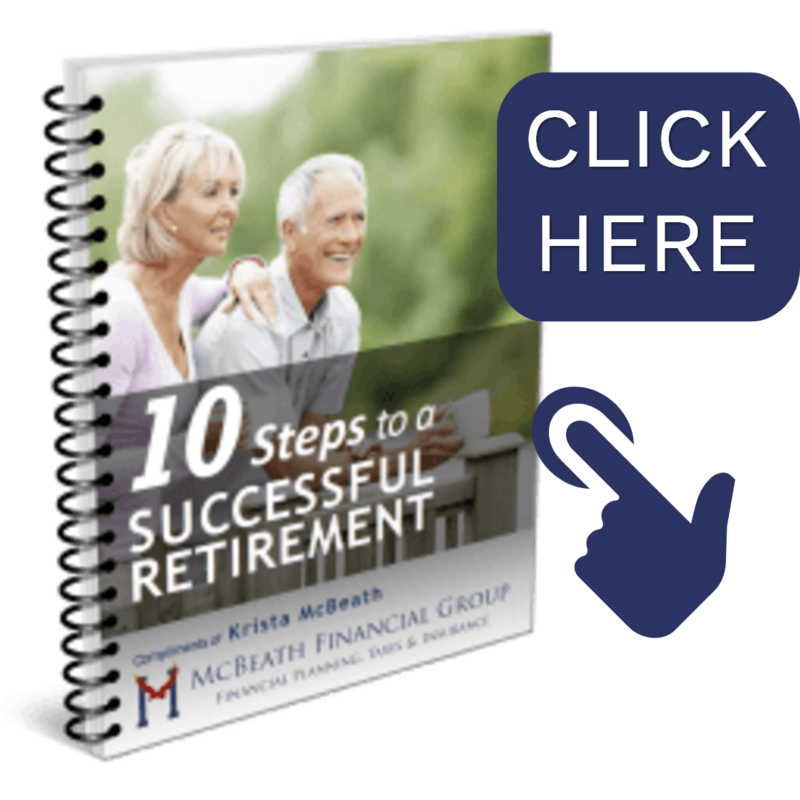 So, what can the McBeath Financial Group clients expect? At McBeath Financial Group we utilize our Technology Empowered Advisor Method and offer an incredible value for the depth of our plans. In most cases, my clients leave our office with a planning fee of under $1,500 and have a comprehensive plan, recommendations in place, and the tools available for them to monitor that plan and to check back in with us periodically. During our complimentary first appointment, we discuss the client's needs, goals and desires to determine if such a detailed financial plan would be beneficial. Occasionally, someone has a need that can be met without planning. An example of this would be someone who would like assistance with a 401k or IRA Rollover, maybe someone has an inheritance that needs to be invested, or maybe even a life insurance need. If you’d like to find out how you might benefit from financial planning, go ahead an schedule a complimentary, no obligation first strategy session! You can click the button below to choose a time that works best for you, or simply call the office to schedule! We’ll look forward to talking to you soon!